Is there scientific research to support energy medicine claims? 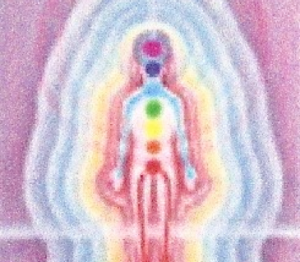 You are here: Home › Ask Sara › Is there scientific research to support energy medicine claims? ← What if Intuition Fails? I have to give a presentation, to my advisor at the hospital I work at, on the energy medicine classes I have been taking. I know she is going to want to know if there is any research to support the claims that energy medicine makes. Is there scientific research available that I can share with her? A few common sense disclaimers are in order. This column does not give a health practitioner, nor the self healer, any basis for making assessments or prescribing treatments. This is not medical advice. This is not even energy medicine advice. The spirit of this column is purely educational. This page provides insight as to how others are applying energy techniques in a broad range of situations, and how they are using energy techniques to unwind their own issues. It is my hope that listening in on these “conversations” will prove to be a valuable and vital learning tool. Seek a physicians advice in all medical concerns. Do not use this information as medical advice. This is not intended to be, nor does it replace medical advice.